When it comes to monetizing your website, AdSense shouldn't be your only source for revenue generation. In such case diversifying your monetization with affiliate links from Viglink can be profitable. In this review, we discuss how Viglink can be alternate source of revenue generation for bloggers. Relying on AdSense ads can't be a good monetization plan for bloggers and freelancers. In such case in-text contextual affiliate links from VigLinks can make you more money. Let's take a look at some of the features and possibilities with this link based affiliate network. The first thing you need to do after signing up is filling out application. You have to give details of your website and the niche. The team that approves account will go through your website. If it meets their criteria of acceptance, then you'll be able to use the code on your website. If your application gets denied then you have to use alternate website. Most of the time the team gives you explanation on why your application was denied. This helps in getting approval in future. When you register and use the ad code, the dashboard will start to collect data. You'll get information such as clicks, traffic, source of traffic, links clicked, merchant type etc. This data can be used further to decide how you want to write articles so that specific merchants get more focus in links. Data such as this can be really useful for scaling your website. It helps if your links are approved by merchant before you use them. I have plenty of links from merchants where I am not approved yet. I am sending the traffic to such merchants and not earning anything from it. In such case your conversion will be very low and you may not get the most out of CPC from other merchants. So always make sure to add other sites in the account. Also get each site approved from the VigLink team, before you use any code on those sites. Because without approval from the merchants, your links are not going to earn anything and you'll be wasting traffic on such unpaid links. Apart from the link automation, you'll be given an option to create custom links to the merchant website. Viglink has now started to attach campaign ID with each link to weed out potential clicks which are not as per their policies. However creating the links using primary campaign is allowed when you wish to share the links on social media. The process allows you to take any approved merchants product page URL and adding the afffiliate ID at the end. So if you want to link to any Apple iStore app on Twitter then you can use it through this section. And by doing this you may earn some trail commission. Direct links can be profitable if you know how to use them at the right time. Viglink pays through Paypal. There are no other payment modes available other than that. So if your country doesn't have Paypal then chances are there that Viglink may not accept your application at first place. In future they are likely to accept Payoneer, but as of now there are not many options for the Non-US members in their payment settings. Hopefully they add payment options such as ACH, Payoneer and Wire transfer. Each year you'll be asked to fill out the tax application form. No matter how much you earn from Viglinks, this form will help keep things in legal binding. If you're from India or any other non-US country then this form will be required for you to send to them. If you don't fill out this application then chances are there they may withhold some amount in tax. Earning from VigLinks are not similar to that of Digital banner ads as per the new changes in India, so there is no 6% tax on the earned revenue. If Viglink team asks you for this form then be prepared to have it ready. Let's accept one fact here that Infolinks ad bubbles are annoying. Nobody wants to click on them. The revenue generated from those ad bubbles is also smaller. In case of Viglinks, your text content will have hyperlinks on keywords. And often those links will have some CPC value on them. So this way you earn some portion of money even just for clicks. 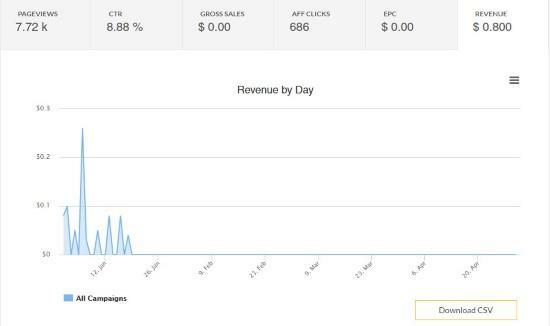 It doesn't stop here, the revenue earned from the viglink clicks is much higher compared to Infolinks. If the user goes to the affiliate site then you may earn commission if the user purchases from that click. That revenue also earns you more money than Infolinks. In my personal experience the money earned from Viglinks is more than Infolinks and Kontera. However as Viglinks mostly focuses on US, Canada and UK traffic, then if your website doesn't focus on the users from these countries, then you may not benefit much from these ads. If you have portal, forum, blog which has traffic from this demographics then monetizing with the VigLinks is more beneficial in the longer run. 1. Some niche perform better than the others. Tech niche performs lower in terms of revenue. 2. Ad blocker affects automated link earning. 3. Direct linking can bypass ad blocker issues. 4. US and Canada traffic earns more revenue. 5. Revenue generated isn't consistent for some niche if users are not motivated to buy online. Signing up to VigLinks can be a good diversifying monetization strategy. Compared to AdSense, you're likely to make more money from the links and ads. Depending on the niche and the traffic sources, it can be a really good monetization model for your website. As an icing to a cake, here is another Affiliate program lined up in the series of reliable affiliate programs. Take a quick look at the guidelines of Walmart Affiliate program. If you are a blogger looking for some of the best affiliate programs in India, read Flipkart affiliate program review.